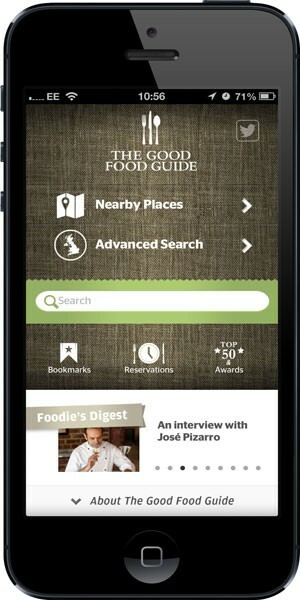 The Good Food Guide 2013 app is out now, making sure foodie fanatics can hunt down hip cafés, pleasing pubs and of-the-moment restaurants from the palm of their hand. Whether searching for hidden gems, tracking down hot new talent or seeking out a seasoned old-timer, with The Good Food Guide 2013 app, finding the ideal eatery is simply a few taps of the finger away. The Good Food Guide has long been the nation’s bestselling restaurant guide, and the latest version of the app continues to build on its outstanding reputation as the most reliable way to secure your culinary credentials. Featuring over 1,300 of the very best restaurants, pubs and cafés from around the UK, alongside many other fantastic foodie features this app is a must-have on the iPhone or iPad of anyone who loves to eat out. If you know what you are looking for use the app to hone in on your preferred place with the Nearby Places function. If you are keen on a certain cuisine use it to seek out the very best on offer using the Advance Search. If it’s inspiration you are after use the handy Editors’ Picks for great suggestions from The Good Food Guide experts. And, to stay ahead of the culinary-curve, read our Foodie’s Digest for epicurean news, chef interviews and lively articles. 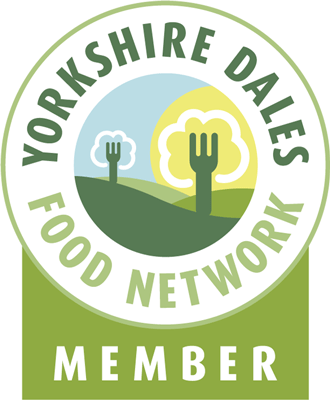 Once you’ve found what you are looking for use the app to reserve your table, share with friends and get you there – and once you’ve eaten don’t forget to send your feedback and tell The Good Food Guide exactly what you think! The Good Food Guide is the UK’s bestselling restaurant guide. The guide does not accept advertising and pays for every meal it reviews, ensuring it is completely independent and impartial. It includes reviews of the very best establishments in the UK, from great-value pubs to fine dining. Feedback from diners is used to shape future editions of The Good Food Guide – restaurant-lovers can visit www.thegoodfoodguide.co.uk/feedback to submit a restaurant review. This entry was posted in Food & Recipe Books, New Products, Reviews and tagged chef, editors picks, Food, Foodie, good food guide, iPhone, Public house, restaurant, Restaurant rating, restaurants. Bookmark the permalink. Love this, can’t tell you how many hours I’ve wasted in hotels reading trip advisor review after review and then getting to the restaurant and it’s poor. Downloading the app as we speak!! !